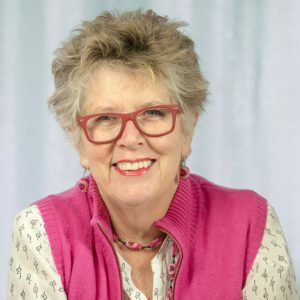 Prue Leith, in her varied roles, has been a key figure in the revolution of Britain’s eating habits since the 1960s. She is author of the indispensable Leith’s Cookery Bible, a winner of Businesswoman of the Year and a judge in the TV show, The Great British Menu. In 1995, having published 12 cookbooks, she gave up writing about food to concentrate on fiction and now has seven novels to her name with a new one due for publication this spring. But cooking has drawn her back on our TV screens, starring as a co-judge with Paul Hollywood in the amazingly popular Great British Bake Off.